baseball & softball training facility. all the latest news and events! Our facility is conveniently located in the Red Feather Shopping Center at the corner of Cheyenne and Decatur. *Holiday and Summer hours may vary. *No refunds on cage time, lessons, camps, clinics, or showcases. We offer discounted rates to all of our troops fighting for our country! Contact us or stop by for more information. Membership Package BECOME AN INSTANT MEMBER of RDBA and receive cage-time discounts, special offers, free cage time on your birthday and many other offers with your exclusive membership at RDBA. Guaranteed 30 minutes a day unlimited (must reserve). Restricted times M-F from 5:30 pm to 8:30 pm. Not valid with team use. Each additional family member receives 50% off. Guest who accompanies a member pays $5 per visit (no exceptions). Team Lesson $20 per player (minimum 4 players) for 1 hour. Player Evaluation $40 one-time player evaluation. We offer baseball and softball lessons for hitting, pitching, catching, and defense. At the highest level, baseball training revolves around strength conditioning, speed training and flexibility training. Successful baseball players also use Plyometrics and specific lifts to increase their upper and lower body power. Physical training has become a lost method and deemed unnecessary to many coaches during their practices, as many coaches perceive strength conditioning as detrimental to the needed motor skills required by players. Modern day baseball players are great ball players, but even better athletes. Professional players tend to be lean and extremely quick. And studies have shown that baseball-specific programs can significantly increase production by the common baseball player. Power training - through Plyometrics (a type of exercise training designed to produce fast, powerful movements) or Ballistics (the science that deals with the motion, behavior) can increase a baseball player's speed and agility. It can also improve throwing and batting velocity much more than the garden variety weight training done in a weight room. Shoulder injuries tend to be a major concern in baseball, as pitching places an inordinate amount of stress on the shoulder complex. And while strength conditioning can help prevent such injuries, traditional weight lifting exercises may not be suitable in targeting the correct muscles or the correct movement patterns. At RDBA, special exercises are easily adopted into a baseball training program to help significantly reduce the risk of overuse damage. Contact us to book your lesson. Email us at info@roaddawgsbaseballacademy.com or contact us for more information on our club ball teams. Our teams regularly compete at the highest level in USSSA tournaments and others. 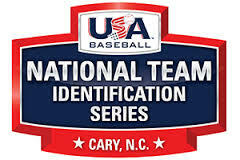 We participate in the USA NTIS Regionals along with college and pro scouting showcases. Pro's that call RDBA home. A true baseball purist, it best defines Todd Gamboa, co-founder of Bat-R-Up Batting Cages. The journey began in North Las Vegas, where Todd coached in Cheyenne Little League for three years. Following his influence on those youths, Todd moved on to travel ball for seven years, honing in on a stellar coaching career that elevated him to Cheyenne High School. In 2004, Todd co-founded Bat-R-Up Indoor Batting Cages with Al Ramirez, as the two introduced the largest baseball facility in the Northwest to the community. During his years of coaching, Todd had the pleasure of coaching current pro players Chris Carter, Tommy Pham, Michael McDade, Chad Robinson and Kevin Krier. 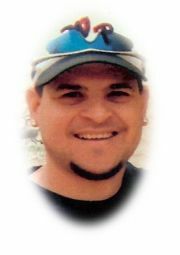 Todd tragically lost his life on Nov. 6 2006, leaving behind his wife Maria, sons Anthony and Trey and daughter Cheyenne. "He will forever be missed and never forgotten. We love you and miss you buddy."